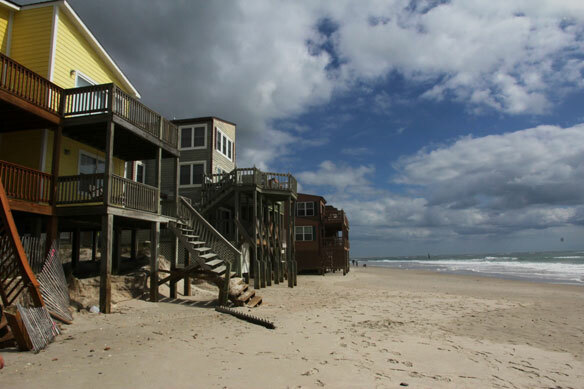 Whose job is it to save North Topsail Beach ? The Atlantic Ocean is eroding parts of North Topsail Beach by about five feet per year. The town of 800 residents is running out of cash and solutions in its efforts to protect its north shore. Whose job is to save this popular North Carolina tourist destination?